Guess who is a Dryel Brand Ambassador?! To get things started I am going to tell you a little about Dryel and how can save you time and money. It can keep your clothes looking newer for longer with no shrinking, no fading, no stretching, and no trips to the dry cleaner! 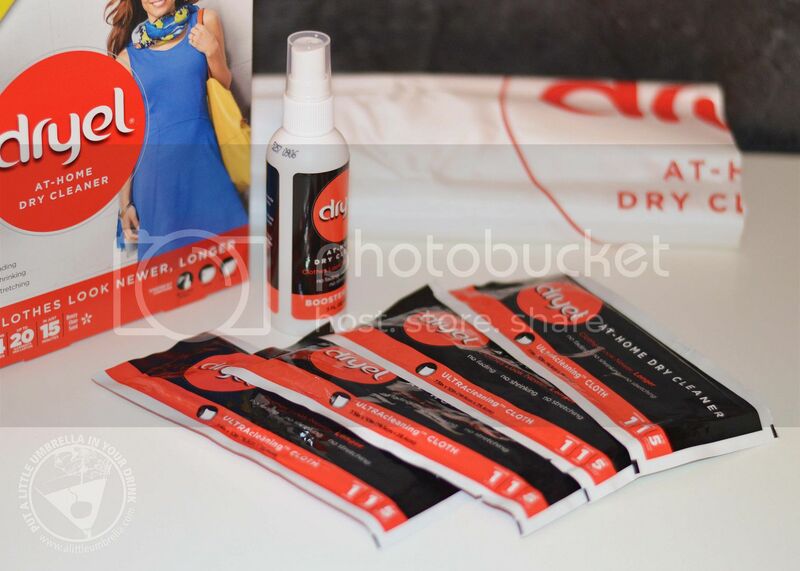 Simply put, Dryel is an at-home dry cleaning process that is easy to use. You can quickly refresh and renew your clothes in only 15 minutes in the dryer. Or for clothes that need a deep clean, use the booster spray and tumble in the dryer for 30 minutes. Yes, it is that easy. Dryel safely and thoroughly cleans clothes, protects colors and preserves shapes without any harsh chemicals. First you will need a Dryel Starter Kit. The starter kit includes a Dryel bag, booster spray, and four cleaning cloths. This means you will be able to use it do four loads of at-home dry cleaning. Once you have the starter kit, you can just purchase the refill packs to replenish your supply. 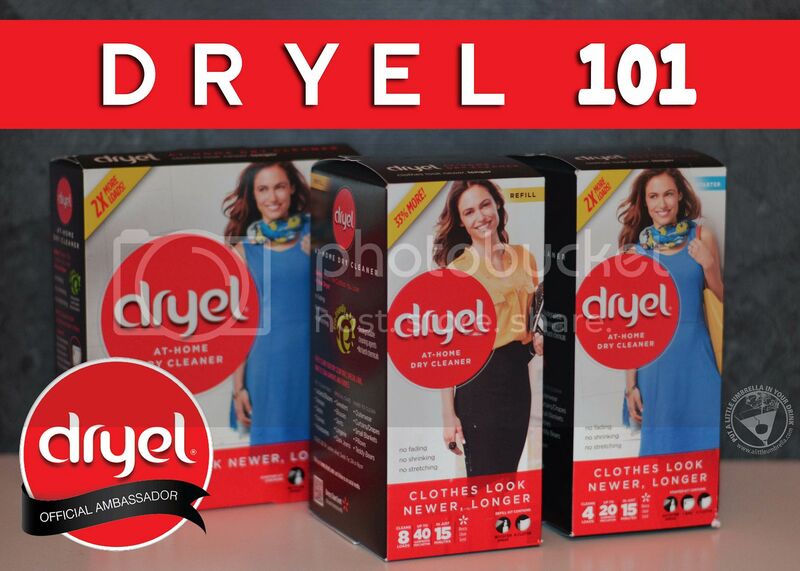 If there are heavily soiled areas or stains on your garment, spray them with the Dryel Booster Spray. Then add 1 to 5 garments and 1 ULTRAcleaning cloth to the reusable fabric protection bag included in your kit. Zip the top of the bag. Tumble the bag in your dryer on medium heat for 15 minutes to renew + refresh your garments or for 30 minutes if you want to deep clean them. The heat of your dryer activates the Dryel ULTRAcleaning cloth to release chemicals and steam that penetrate the clothing fibers. These vapors remove body soil and odors from your clothes that are then vented out of your dryer. Your clothes are left with a breezy clean scent. Hang your garments to help wrinkles fall out and your clean fresh clothes are ready to wear. All this in the comfort of your home, no need to drag your clothes to and from the cleaners. More convenient and less costly than a trip to the dry cleaners, imagine all the money you will save! Dryel cleans your dry clean only and special care clothing for as little as 25¢ per garment. Plus it avoids the harsh chemicals of the dry cleaners. No need for special expensive machines, Dryel works right in your own dryer. That's it for today's lesson. Stay tuned. I will be bringing you more on Dryel in the coming months! Connect :: Visit dryel.com to learn more about the best way to clean your special care clothes without shrinking or fading. You can connect with Dryel on Facebook, Twitter, Instagram, and Pinterest!